In New Jersey, when a driver is caught and convicted of driving while intoxicated, there are many penalties that he or she will face. There will be a driver’s license suspension, a fine, various fees, surcharges and the possibility of jail time. While it’s relatively easy to know what to expect when there is a DWI charge and conviction, drivers frequently don’t consider the extra costs that will be associated with a DWI conviction such as time lost at work and raised insurance rates. Law enforcement is always keeping a close eye out for drivers who might be committing a DWI. If a vehicle is swerving in and out of traffic, driving too slowly, breaking traffic laws or making dangerous actions, the officer will stop the vehicle and investigate. When speaking to the driver, the officer will look for telltale signs of DWI including bloodshot eyes and the smell of alcohol. If there is still a belief that the driver is drunk, the officer will administer field sobriety tests and a breathalyzer. With the breathalyzer test, the driver is obligated to take the test due to the law of implied consent. If the driver doesn’t take the test, there will be a charge of refusal which carries with it similar penalties to a DWI conviction. There will be a refusal charge even if the driver wasn’t legally drunk or wasn’t drinking at all. If the driver is 21 or over and registers a 0.08% on the breathalyzer, there will be a DWI arrest. If the driver is under 21, the level is 0.01%. If it is a commercial driver facing DWI, the level is 0.04%. For a first offense with a blood alcohol content of 0.08% and below 0.10%, the driver will have his or her driver’s license suspended for three months. There will be a fine of between $250 and $400. The Intoxicated Driver Resource Center (IDRC) will cost $230. $100 each will be paid to the Alcohol Education and Research Fund (AERF) and the drunk driving fund. $75 will be paid to the Neighborhood Services Fund. A surcharge of $1,000 per year for three years will be paid. There can be 30 days in jail. With subsequent DWI convictions or a BAC of 0.10% or higher, the penalties will be worse with the possibility of an ignition interlock device placed on the driver’s vehicle. While the penalties are serious and can cause hardship and inconvenience for the DWI driver, there are ancillary costs that might not even have been considered but can be quite expensive. This includes getting auto insurance after a DWI conviction. Drivers who have been convicted of DWI will automatically see their insurance rates raised. In certain instances, the only option a driver might have is SR22 insurance. 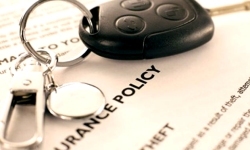 The cost of this insurance is significantly higher than normal insurance, but if a driver has been convicted of DWI and can’t get any other form of insurance, this might be the only option. SR-22 is a form of insurance that the company files directly with the state of New Jersey. If the insurance expires or is canceled, the state will automatically be informed of this development. Until you get new insurance, your driver’s license will again be suspended. It is not actual insurance, but is proof that the driver has insurance. With SR-22 insurance, it must be maintained for three years. During this time, if there are no more convictions for DWI, it might be possible to get regular insurance. The idea of SR-22 insurance is for the state to keep a close eye on drivers who are considered high risk. 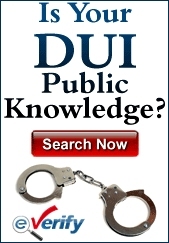 When a driver commits a DWI, there is unlikely to be a lot of long-range planning for the future. In fact, most never think they’re going to get caught let along have to pay all the penalties accompanying a DWI conviction. One thing that is rarely considered is the problem that they might have with insurance in the aftermath of a DWI conviction. It, however, can be one of the most costly and inconvenient aspects of the episode and drivers need to think about it when they are facing DWI charges.